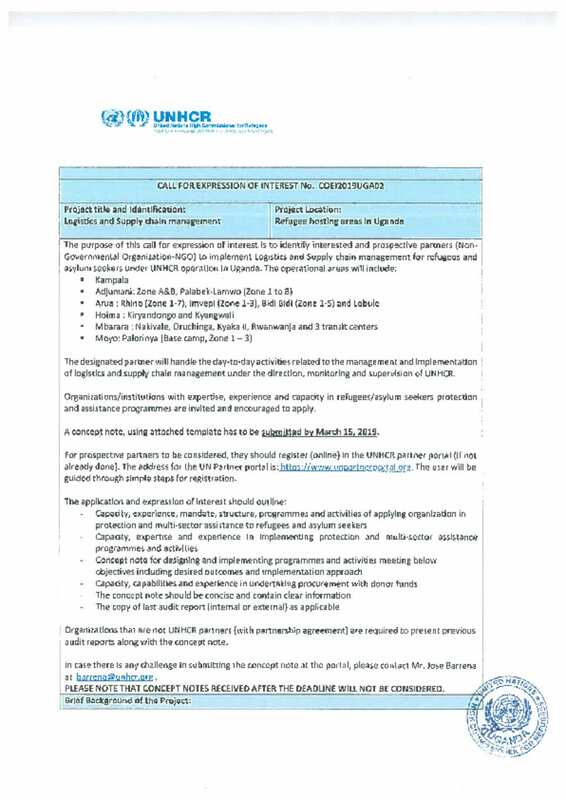 The purpose of this call for expression of interest is to identify interested and prospective partners (Non-Governmental Organization-NGO) to implement Logistics and Supply chain management for refugees and asylum seekers under UNHCR operation in Uganda. For prospective partners to be considered, they should register (online) in the UNHCR partner portal (if not already done). The address for the UN Partner portal is: https://www.unpartnerportal.org. The user will be guided through simple steps for registration.